A recall of air bags made by Japanese auto parts supplier Takata Corp. is the largest in U.S. history. 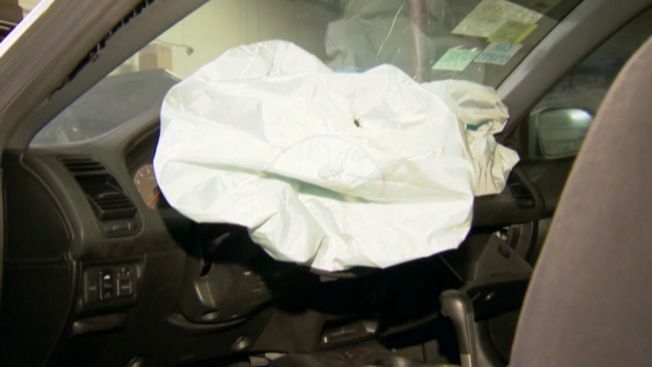 The number of vehicles in the U.S. being recalled because of the defective air bags is doubling to 34 million, safety regulators said on May 19. Q: What is wrong with Takata air bags? A: The driver and passenger-side air bags can inflate with too much force, blowing apart a metal canister and sending shards flying at drivers and passengers. The defect has caused at least six deaths and more than 100 injuries worldwide. Takata, automakers and the government are still trying to pinpoint the cause of the problem, but are prioritizing repairs in humid climates, because Takata believes longtime exposure to high humidity can be a factor. Q: Which automakers are involved and how many cars are affected? A: Honda has the most vehicles equipped with Takata air bags. Dozens of models made by BMW, Chrysler, Ford, General Motors, Mazda, Mitsubishi, Nissan, Subaru and Toyota dating to the 2001 model year are also affected. Q: How do I find out if my car is affected and, if so, what should I do? A: If your car's air bag is being recalled, you should receive a recall notice from the automaker. Automakers also have recall home pages with information for customers. Also, you can go to the government's Takata page, Safercar.gov, and key in your vehicle identification number, which normally is printed on the registration and stamped on the dashboard. You can also call your dealer. Dealers will replace the air bags for free as parts are available. Q: Why is the announcement so significant? A: This is now the largest auto recall in U.S. history. Takata's admission that the air bags are defective comes after a year of sparring with the U.S. government over the cause of the problem and the number of vehicles that should be recalled. Q: How does this recall compare with other big recalls? A: The largest auto recall until now was in 1980, when Ford Motor Co. had to mail warning stickers to 21 million customers because their transmissions could slip into reverse. Last year, General Motors recalled more than 30 million vehicles in North America, but that was done in 84 separate recalls for various problems. Q: Will Takata as a business survive this? A: Takata doesn't just make air bags, although they accounted for 40 percent of its sales in its latest fiscal year, which ended in March. It also makes seat belts, steering wheels and other parts, and it supplies every major automaker in every region of the world. Takata reported a net loss of $244 million for the fiscal year, but said it expects to make a profit of $166 million in the current fiscal year despite the recalls. One benefit: The weak Japanese yen, which translates overseas sales into bigger profits at home. But Kelley Blue Book senior analyst Karl Brauer says Takata may not be able to handle the huge cost of the expanded recall and may need help from automakers or the Japanese government. "Everyone has to keep them alive so they can fix the mess they made," he said.